Tuesday, January 22: Batu takes me to a courtyard that I later write in my notes is a Buddhist monastery, home to the Bhaktapur Kumari. 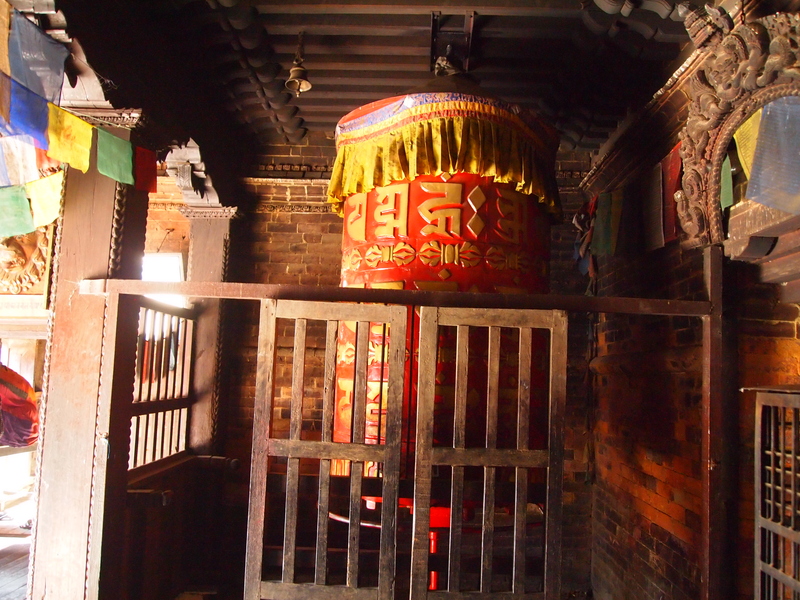 Apparently, the Kumari of Bhaktapur has greater freedom than her cohorts in Kathmandu and Patan. She can leave the house, play with friends, and visit school with other children. A Kumari is believed to be the goddess Taleju incarnate until she menstruates, at which time the goddess is believed to leave her body. Kumari means “virgin” in Sanskrit (Wikipedia). 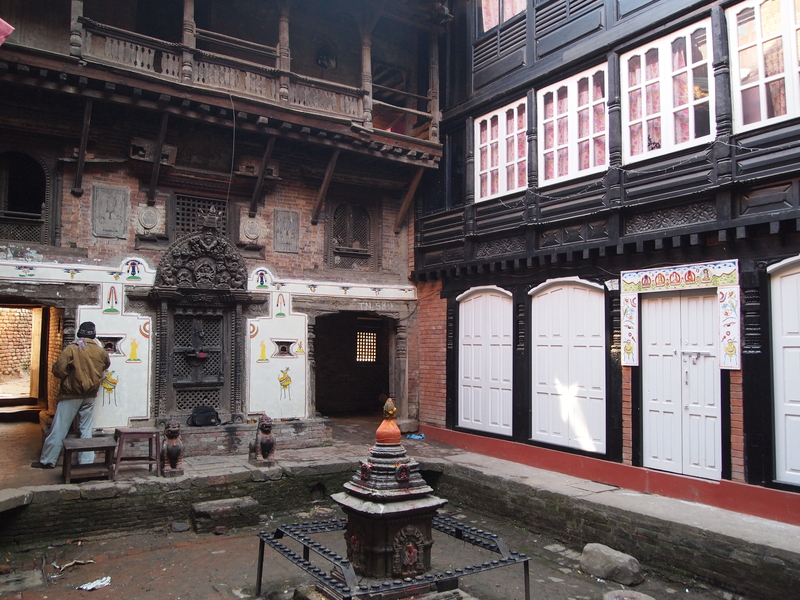 Is this the courtyard of a Buddhist monastery where the Bhaktapur Kumari lives??? The girl is also observed for signs of serenity and fearlessness (after all, she is to be the vessel of the fierce goddess Durga) and her horoscope is examined to ensure that it is complementary to the King’s. It is important that there not be any conflicts as she must confirm the King’s legitimacy each year of her divinity. Her family is also scrutinized to ensure its piety and devotion to the King. After I return home, when I try to identify exactly what the name of this courtyard/temple is, I’m not sure after all that this place is really the Kumari’s home. I can’t find information or pictures anywhere online or elsewhere to verify this. So. 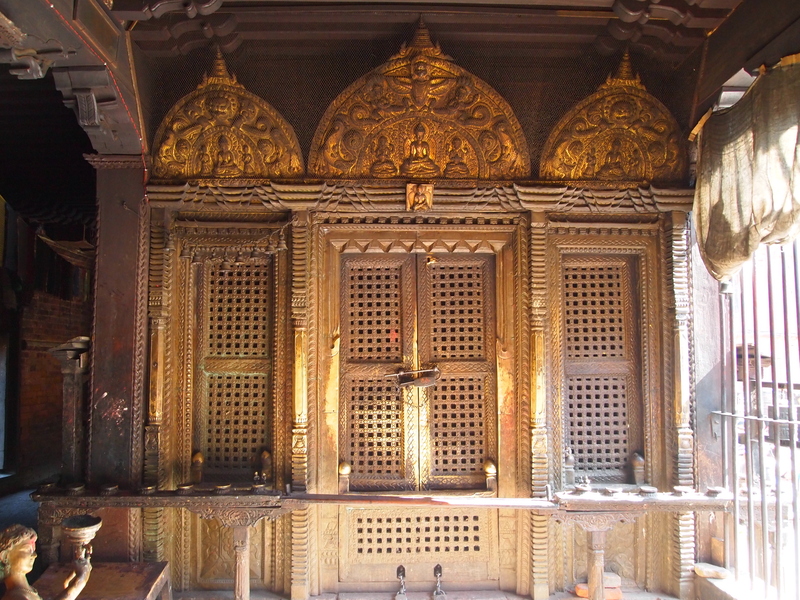 I will say this: I think this MIGHT be the place where the Bhaktapur Kumari lives. I never see the girl here, as I did in Kathmandu, so I have no proof. Oh well. 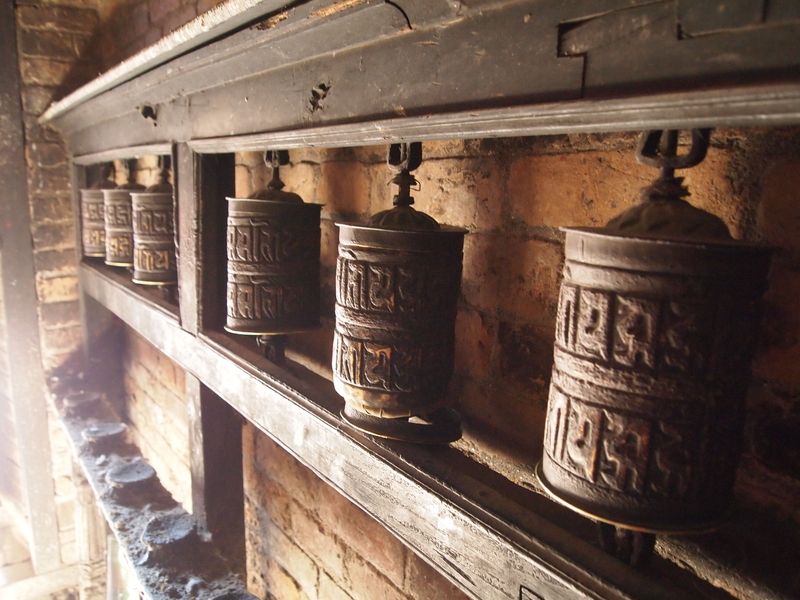 At least I love the red prayer wheel, and the other little prayer wheels lined up along the exit corridor. Here is the mystery place, unidentified and open to your imaginative interpretation. In the courtyard, some TV celebrity (also unidentified) is being filmed by a man who looks like a professional camera-man. 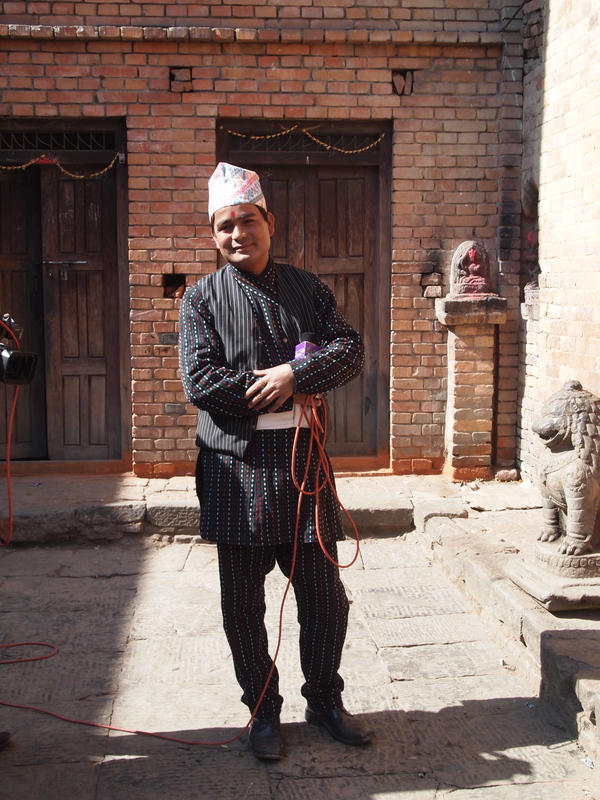 The celebrity, wearing traditional Nepali costume, tells us he is doing a special for Nepali television. However, I don’t write down what he says, so I forget now what the program was about. Oh well. Here he is, whoever he is and whatever he is doing.